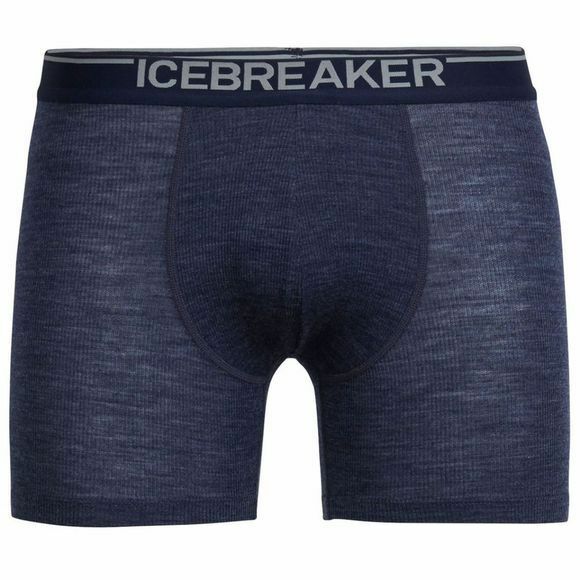 The Men's Anatomica Boxers from Icebreaker are constructed with an ultra-comfortable ribbed fabric, offering the support and comfort you'll need for active pursuits and everyday life. The Anatomica features rib corespun fabric, which uses nylon fibers wrapped in soft, breathable merino wool for durability and strength that retains next-to-skin softness. Also included is a touch of Lycra for active stretch, while flatlock seams eliminate chafing, and the contoured pouch provides essential support any and everyday.